An indictment drafted by the İstanbul Chief Public Prosecutor’s Office seeks two consecutive life sentences for 13 people, including prominent Turkish journalists and pop singer Atilla Taş, on coup charges. 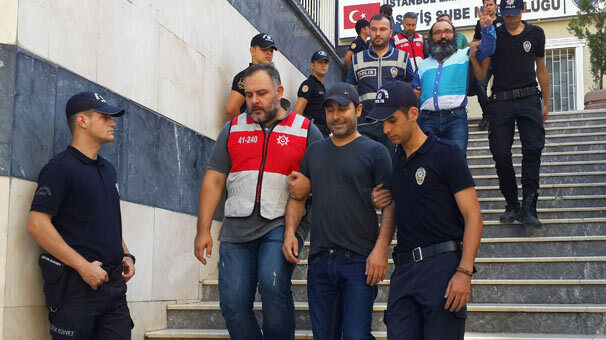 The journalists named in the indictment are National Party (UP) leader and Türk Solu weekly columnist Gökçe Fırat Çulhaoğlu, Yakup Çetin, Bünyamin Köseli, Cihan Acar, Abdullah Kılıç, Oğuz Usluer, Hüseyin Aydın, Murat Aksoy, Mustafa Erkan, Seyit Kılıç, Yetkin Yıldız, Ali Akkuş and famous pop singer Taş. The indictment revealed that the suspects are accused of membership in a terrorist organization due to their stories, critical tweets and retweets. The journalists are accused of attempting to overthrow the constitutional order and membership in an armed terrorist organization called “FETÖ,” an acronym that the Turkish government uses for the Gülen group. A military coup attempt on July 15 killed over 240 people and wounded more than a thousand others. Immediately after the putsch, the Justice and Development Party (AKP) government along with President Recep Tayyip Erdoğan pinned the blame on the Gülen group. The group strongly denies any involvement.